​Back for a second helping of Buenos Aires antics, here I am again. For a second blog that is, not for a second visit, it’s all been in the one week here. 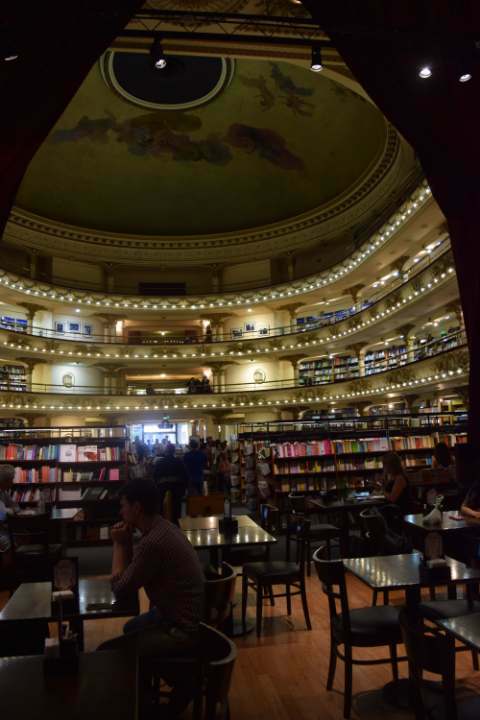 Actually really the first place of note my wife and I visited in Buenos Aires was the El Ateneo bookshop. In a world where bookshops appear to be going the way of sane Presidential choices, Buenos Aires has one of the most amazing bookshops you could visit, and heck – I didn’t even need to buy a book. You probably don’t even need to know how to read! The setting, if you will, is inspired. It’s in an old theatre. They’ve kept the booths and the stage and converted the entrance hall and galleries into a place for books. There’s a cafe and we had ice cream and coffee on the actual stage. So, it’s definitely worth a visit and you can even go in there and just take photos. Although, come on, spend a few pesos! But if there’s one name people associate with Argentina, it’s Evita. 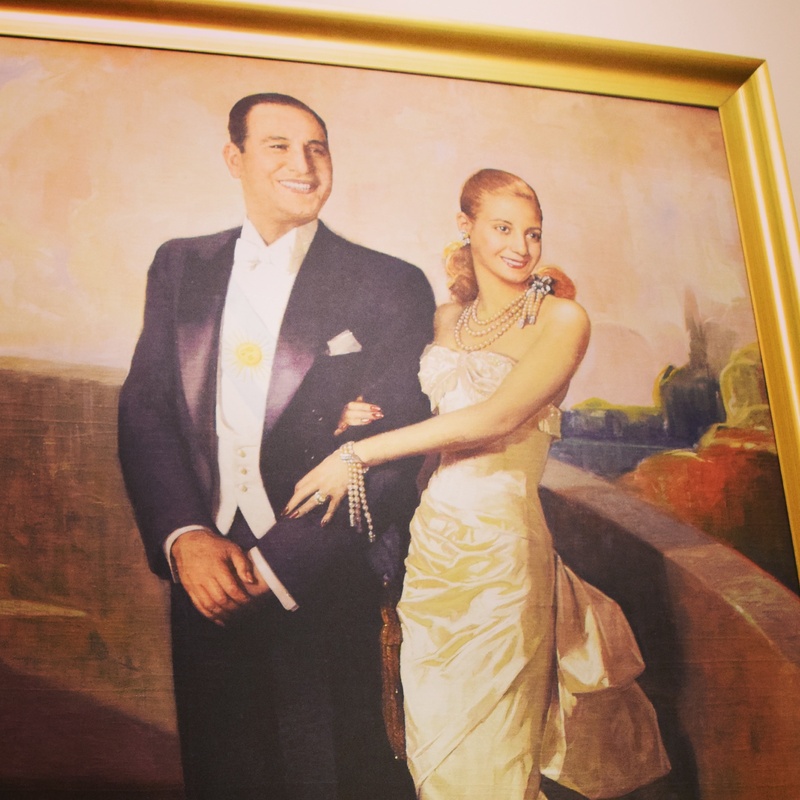 Eva Peron (Duarte) married a General Juan Peron in the 40s who became President. She was from a poor background, and even today you can see this is a very divided country along the lines of haves and have nots. She started her own party, began foundations to help the needy, her and her husband were very popular at the time. Sadly, she died at the age of 33 due to cancer. There was a push for her to present as candidate for vice-president the year she died. 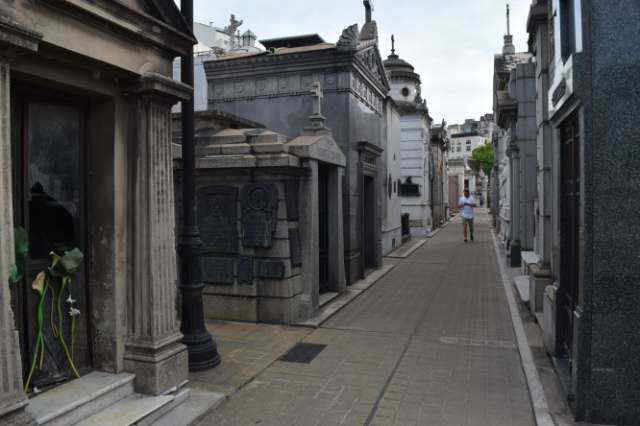 The Recoleta Cemetary is where she can be found today. It’s quite the place, tombs and crypts and everything apparently above ground. It’s like a mini-Buenos Aires in there. 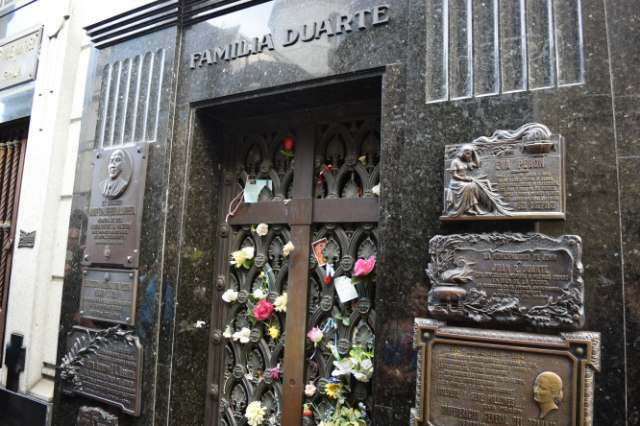 The information map at the entrance lists Evita under her maiden name, ‘Duarte’. 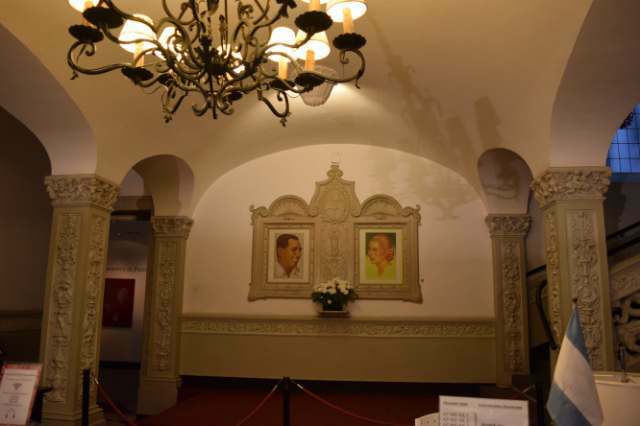 After I visited the cemetary I went to the Evita Museum housed in a house used for one of her foundations. It’s interesting enough to learn a little about her and the history of Argentina. Yesterday I journeyed to Tigre, around an hour by train from BA. It’s pleasant, has a museum devoted to the Argentine’s favourite drink, mate, and makes a nice getaway from the bustle of the city that never stops. 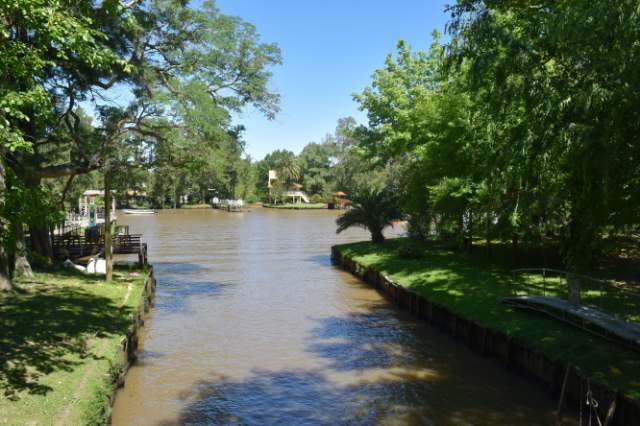 The best thing was to take a boat on the rivers, there’s a series of canals where people are living (in pretty big houses one must say) and it’s really pretty. Back in BA today I had a morning in, and then this afternoon visited the Palacio Paz, or the Palace Paz. Phwaaar. Possibly the most lavish of the lot! Unbelievable. Actually built so that visitors would be ‘wowed’ at every oppotunity. Most elements designed in Europe and brought over to Argentina, taking 12 years to construct, the owner hoped to be President one day. Unfortunately, he died in 1912 two years before completion. 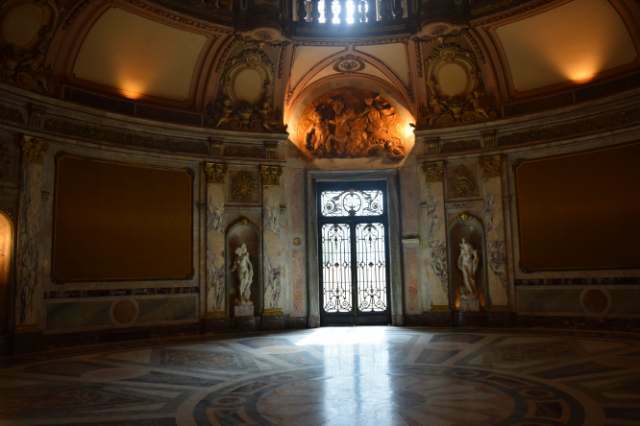 A mix of medieval, Baroque and a little Art Nouveaux, the main corridor is enough to blow your socks off. The domed arrival space though is out of this world. Any visitor to BA needs to visit this place. 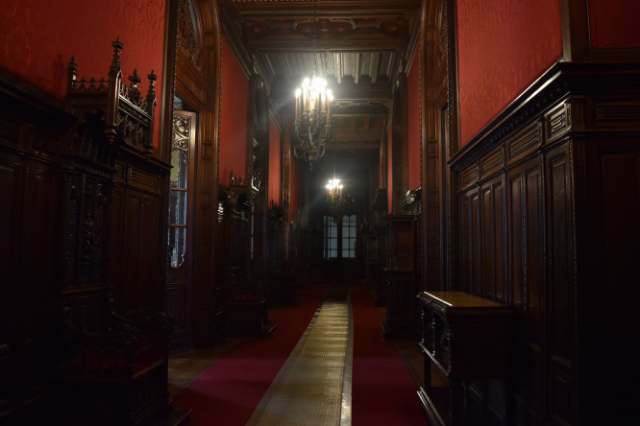 Did I mention – 140 rooms? BA is certainly a city for architects and admirers of oppulance. 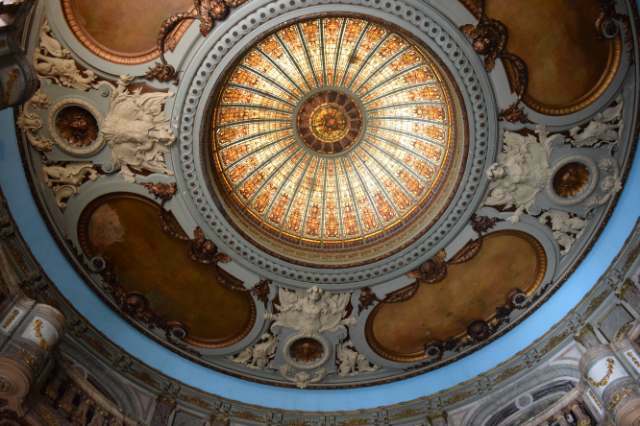 I should also mentioin the Museo de Bella Artes which is really an art gallery. Loads of works inside, free, not actually a giant mansion. Worth a look if you’re into art. And so tomorrow (today by the time this is published) I take a night bus, the last of the trip, to Bariloche. BA has so much to see, I have been surprised. It’s been a rewarding city, although my feet really do hurt after a lot of walking! Expect more about Buenos Aires when I return home and in the new year. For now, May the Journey Never End!!! 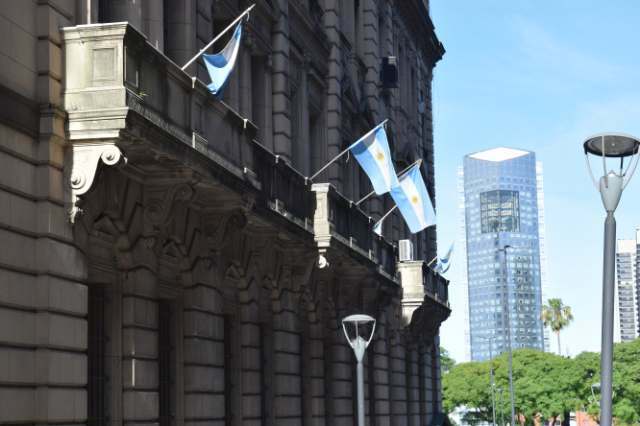 Previous Buenos Aires – Where the Heck to I Start? That bookshop looks and sounds amazing, too bad we didn’t know about it when we were there. 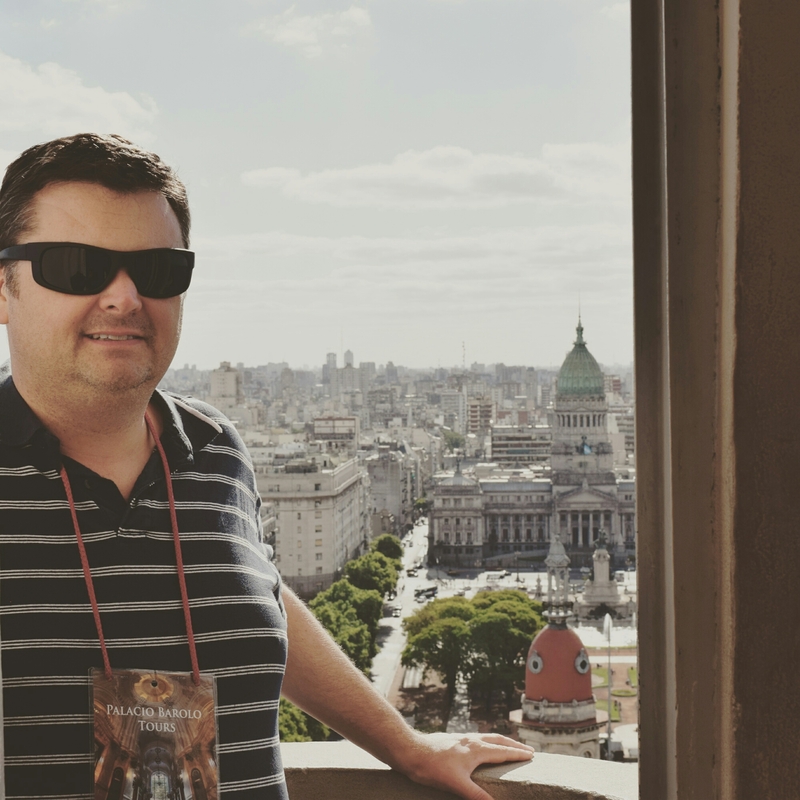 Recoleta was very interesting… We didn’t go to Tigre – it was an option but in the end it came down to not having enough time – but I can totally get what you mean by huge, nice-looking houses. People seemed to live a very nice life in many of the places (of course there are poor people, too)… Somehow it all just made me think of all those Europeans who moved there back in the day, the great escape. Looks like they did well. Theres SO much going on in BA easy to miss things! and then you need the time too! Looks fantastic mate, great experience. That bookshop looks like a palace! I already love bookshops – I could spend hours in one – but that, sir, looks like a tourist attraction! !